Book Mobile iOS app Mobile Android app Book a Meeting Room ⇗ Book a Day Pass ⇗ Book a tour! VenturePad community stories - & our latest newsletter. Over 70 friends and early champions dropped into the VenturePad Sneak Peek party! December 20, 2016 / Alejandro Moreno S.
Over 70 friends and early champions dropped into the VenturePad Sneak Peek party on Tuesday, 12/13. 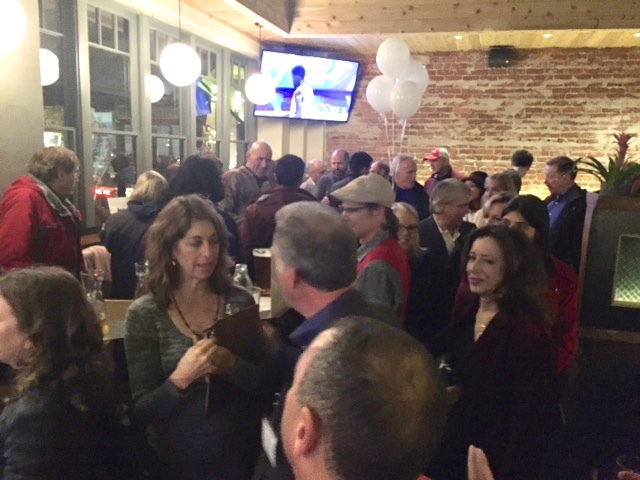 Everyone enjoyed complimentary drinks, appetizers and good company at the State Room on 4th Street, downtown San Rafael, then made our way around the corner 1 block to the new VenturePad digs at 1020 B Street. Founder Chris Yalonis provided a briefing on the mission and values of the VP community and then showed off the construction plans for the offices, meeting rooms, open spaces, and café. The build out is in January and February with our opening scheduled for March. CLICK ON THE IMAGE BELOW TO SEE THE PICTURE GALLERY! Freelance marketing consultant and multi-potentialite. About to design my 4th squarespace site for a new workspace/incubator/accelerator I'm helping launch. The 3rd website I did is for the olive tree farm my family just bought in Tuscany (which is also an Italian villa vacation rental). I split my time professionally between marketing, translating and interpreting live (Spanish/English), and soon I'll also be a farmer in Toiano, Tuscany (betwen Pisa and Florence). A few months a year are spent in Marin County California where I grew up and have lived most of my life. Musician, oenophile and photographer are a few additional apt descriptions.